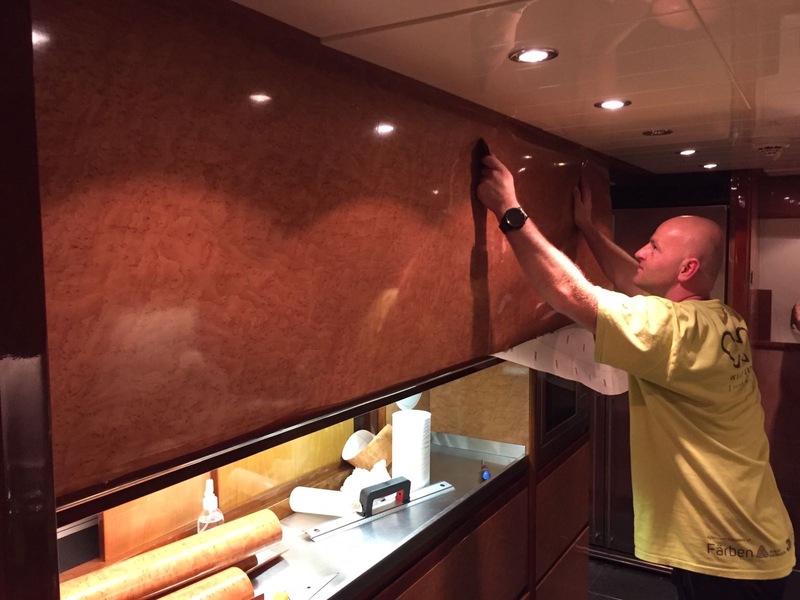 In March 2017 our expert superyacht vinyl wrapping team travelled to Sweden to complete a project aboard a 34m motor yacht built by the Custom Line division of Ferretti Yachts. 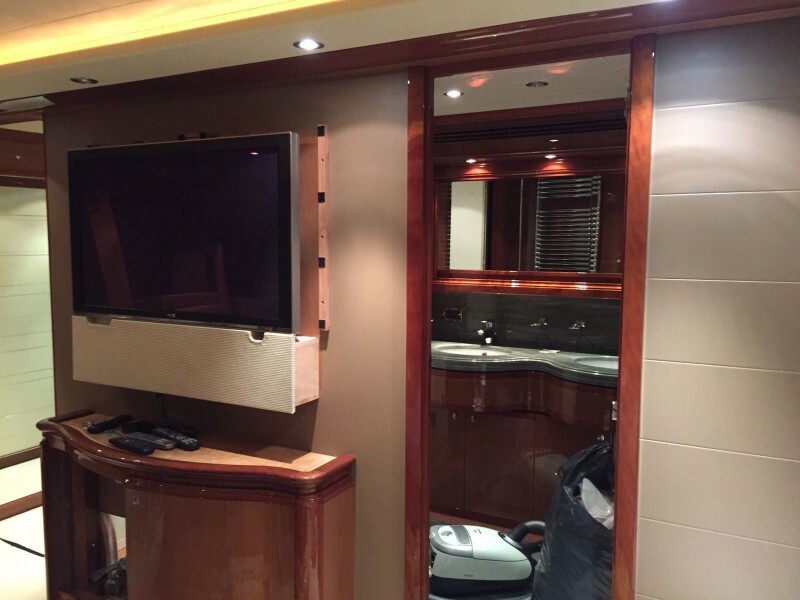 The yacht was in need of a refresh so the captain explored all the options and decided it was not necessary to give the yacht a complete interior overhaul when they could make it look exactly as the owner desired, with using foils and films applied by our team. 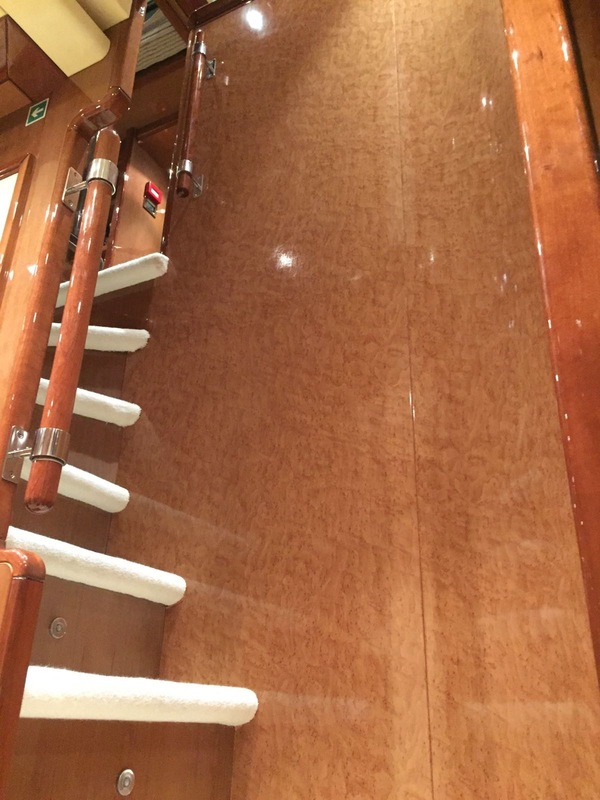 The project brief was to wrap the following: stairwell and guest corridor, galley and pantry, fascia and panels plus floor trim to bathroom for guests, floor trim in all remaining bathrooms and guest toilet, and finally a leather effect application on an area in the owners cabin. 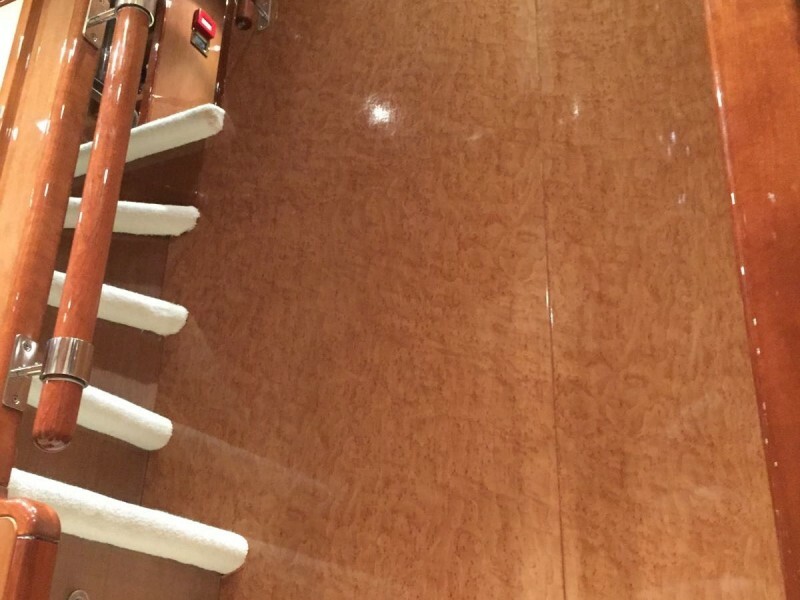 The materials used were a gloss wood effect finish and some leather effect finish. Both films were manufactured by 3M Dinoc. The project was undertaken in Sweden and took a team of four eight days to complete.